In Clive Beagles v HMRC  UKUT 380 the Upper Tier tribunal confirmed that a discovery assessment may become 'stale' in circumstances when HMRC is aware of a potential insufficiency of tax yet delays in raising an appropriate assessment. 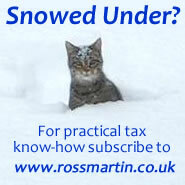 By June 2004 HMRC became aware of the scheme and considered it did not work as intended. Already out of time to raise an assessment out of normal enquiry time limits, HMRC discussed the case internally and decided to await the outcome of another case. HMRC eventually raised a Discovery Assessment in 2008. The taxpayer appealed to the FTT who found for HMRC on the basis that it had been resonable for HMRC wait for the outcome of another case before raising an assessment. The taxpayer appealed to UT on the basis that the FTT had erred in law. The UT accepted the taxpayers argument that a discovery must retain its “newness” when an assessment is made. It found that HMRC believed that the loss scheme did not work from at least 1 August 2005. Although at that time there was no case law suggesting that a discovery could go stale. The fact remains that it was not until two and a half years after August 2005 that the assessment was raised. With hindsight HMRC was quite simply ill equipped to deal with the sheer volume of the tax loss schemes engineered by large tax firms in the 'noughties and had to achieve some kind of balance. The fact remains that time limits are set in order to achive finality for both sides. UPDATE: Permission has been granted for HMRC to appeal to the Court of Appeal. Key steps in appealing a decision of HMRC. What are the time limits for claiming a tax refund? How far back can HMRC go to raise an assessment? Clive Beagles v HMRC  TC05925 .